Nidhi is currently working with OMGwhen as Creative Director. Currently, I am working as a Student Fellow at the Entrepreneurship Lab (eLab) as a Business Development Representative. I am assisting an Israeli startup, OMGwhen, to increase its users and audience in New York City. I am currently doing research on similar apps and seeing how I can help reach the target audience. I am also planning to host events that promotes the app to colleges students. How has entrepreneurship lab helped in your development? The Entrepreneurship Lab has helped me in my development as i get to work with multiple startup companies through which i get to increase my professional developmental skills. I intend to pursue a career in marketing and working at start up company, I get to see every step of the process, through which I will also learn how to identify their strengths and promote them. I have also gained a lot from the eLab as I work beside students who aspire to become entrepreneurs and I try to analyze how I would sell their product. How do you find the eLab environment? I love the eLab environment. It's transparent and safe. My co-workers are friendly and diverse, I love learning about their cultures. It's such a warm environment and everyone is willing to help one another, which is the ideal for an entrepreneur. Being surrounded by such great students and seeing their ideas come to life really inspires me. To me, entrepreneurship is more than just a start up. I feel that it's showing the world something you're passionate about through innovation. An entrepreneur is someone that is willing to take risks to bring about a change in the world. Camille is a Strategic Research and Implementation Intern at the Pace eLab. Entrepreneurship lab helped me to understand that in life we need to find what we are passionate about and make it our work and that we don’t need to be a magician about business to reach something successful. Who is the entrepreneur you admire today and why? The entrepreneur I admire the most today is Rosalia Mera, Co founder of Inditex. It’s the biggest fashion group in the world which operates over 7,000 stores in 91 markets worldwide and own the chains Zara, Massimo Dutti, Pull and Bear…She dropped out of school at the age of 11 to become a dressmaker and along with her husband, she created a bathrobe company Zara. Although she started with nothing, she used her skills to transform potential opportunities into successful businesses. She became and remained the wealthiest woman of Spain until her demise. She is for me a good example of an entrepreneurial success story. Currently, I’m working on a marketing strategy to increase enrollment of the Entrepreneurship program at Pace University. The goal of the project is to understand what attracts student to entrepreneurship and then use this to get more students enrolled. The eLab is a warm workplace, people come here to learn and develop entrepreneurial skills. 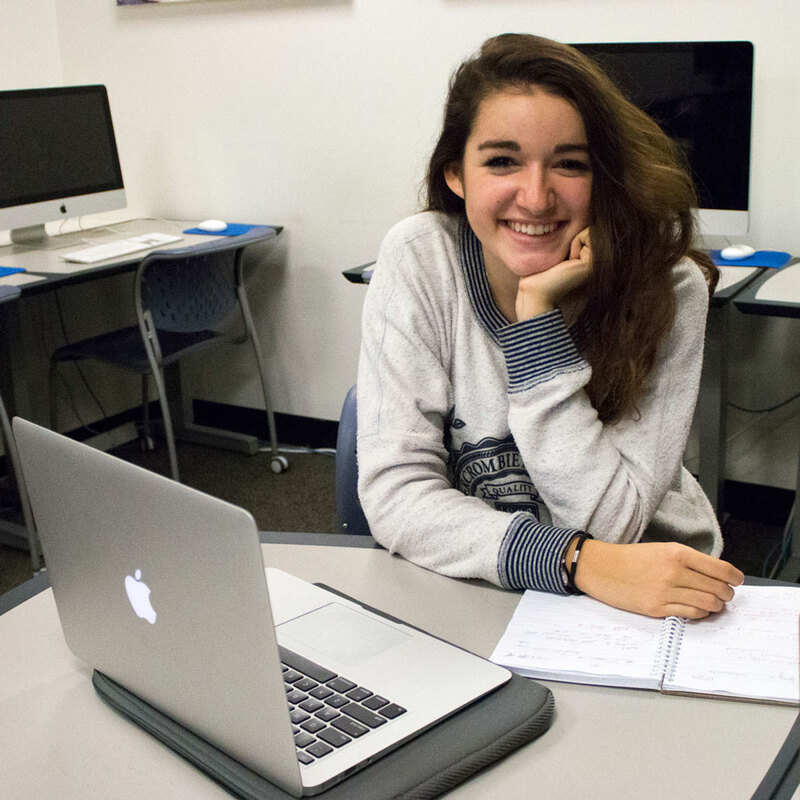 It’s a co-working place which enables you to meet students from across Pace University and learn with them. Entrepreneurship is for me the capacity to develop a new company and then manage it. What do you expect to learn as a student assistant? As a student assistant I expect to develop my marketing, entrepreneurship and strategic skills. It will also help me for my study to develop real world management skills. 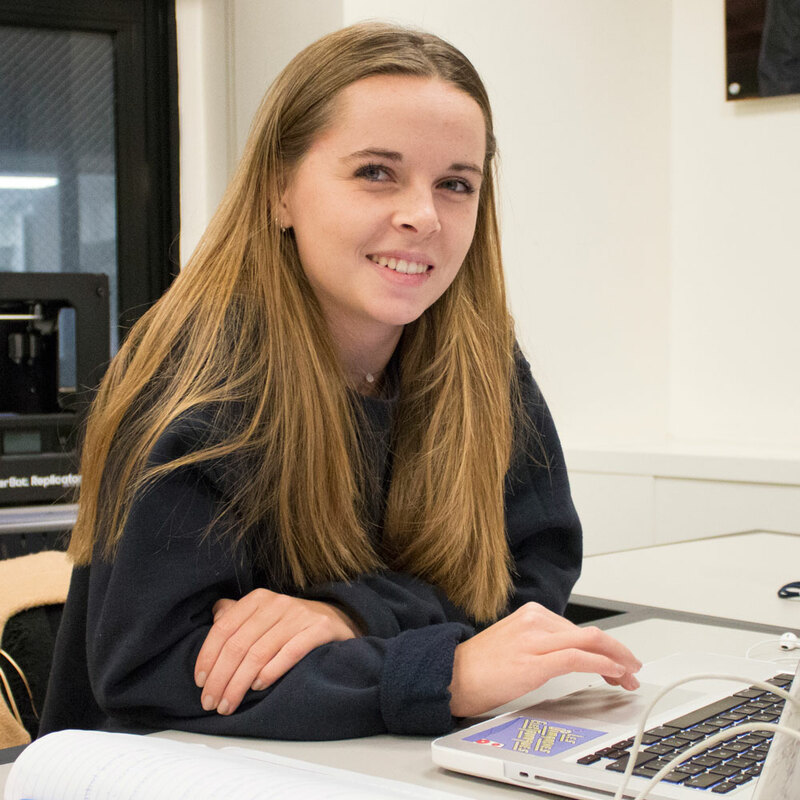 MS in Computer Science, Pace University. The entrepreneurship lab gives me the skills to develop and manage a successful new venture and apply those skills to launch my own entrepreneurial idea. My role in eLab is very exciting and my duties include maintaining eLab website which is built using Drupal content management system, designing posters and promotional contents using InDesign and Photoshop and editing videos and photos using Adobe Premier Pro. It’s good and positive. I’m looking forward to learning more and I believe that I can make a positive contribution. I look forward to sharing my skills and experience. It’s about passion. It’s about recognizing opportunities and generating innovative, creative ideas. It’s about letting go of fear especially when it comes to failure. 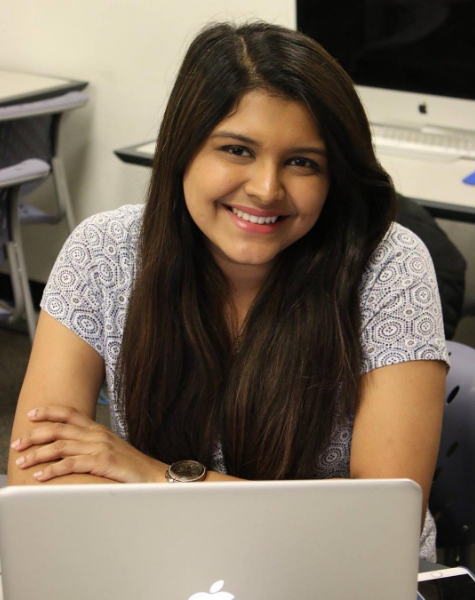 As a student assistant, I would really like to enhance my programming skills and make myself a better candidate for future employment. What are your long term goals and how do you see your work here help you achieve these goals? My long-term goal is to become a full-stack software engineer. I look forward to developing myself by working on software projects in the eLab. I am getting hands on experience in technical languages at the eLab which would help me in my future endeavors. Rachel is currently working for OMGwhen as Creative Director. Currently I am working as a Student Fellow at the Entrepreneurship Lab (eLab). I am assisting an Israeli startup, OMGwhen, to increase its users and audience in New York City. I am currently planning an event at Pace to promote the app, and will start to reach out to other universities to quickly increase the amount of users. I also designed appealing and eye catching flyers to further promote the app and to spread the word. I am also working to use my creativity in planning events and promoting the app. The Entrepreneurship Lab has helped me in my development as I got a first hand experience of working with start up companies. As I would want to work in the start up business or work for a start up company, it has been so exciting to work at the eLab and support a start up company, by seeing every step of the process, every decision made, but also by seeing the challenges the company faces. It's a great environment. Students can collect ideas, collaborate, use their creativity, and strive to be successful. Students are supported in every way, and can always reach out when they need help. The environment is a safe, creative, and fun environment, making it a perfect space for entrepreneurs. To me, entrepreneurship means creativity and the willingness to take risks. Somebody who is an entrepreneur must have the entrepreneurial spirit, must be willing to fail, and to learn from their mistakes. Entrepreneurship means to be motivated, to strive for excellence, and to accept criticism and to be adaptable to change. ​I expect to learn about the path to starting a successful start up. Through my position as a student assistant, I receive first hand experience with every success, but also with every failure. 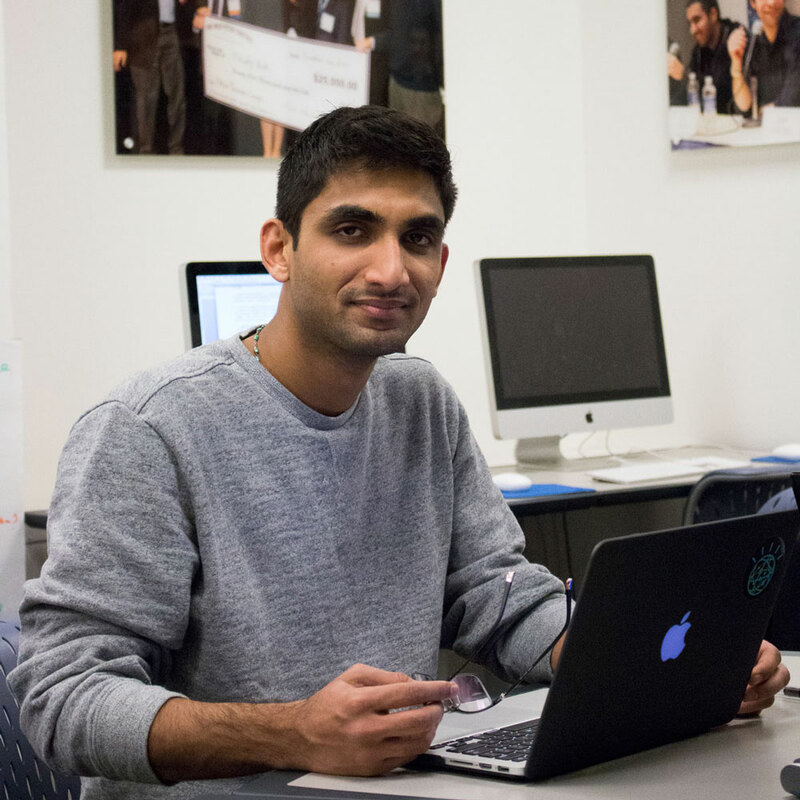 Sumeet works at the eLab as a Dezer Event Fellow. I have been working as Student Fellow at the Entrepreneurship Lab (eLab). My work has been focused on social media marketing, event management and various promotional activities to generate awareness about the resources in the eLab. Through my work at the eLab, I have been learning the nuances of digital Marketing, event management and the startup environment in New York City. As my goal is to become a Product Manager after graduation, I have been able learn about products, the students and alumni are working on, which has helped me understand the various aspects of product development. Through the various events in eLab, I was able to meet CTO of KPMG from whom I learned that KPMG has formed a small startup within their organization to work on innovative products. I also got my summer internship at a FinTech startup in Wall Street through the networking events in the eLab. Which entrepreneur do you admire and why? He is an exceptional visionary and creator of the current era. Innovation cannot happen without vision. Elon Musk is one of a kind visionary whose dreams have pushed the current technology companies in race to produce efficient yet powerful electric cars, cheaper solar energy and commercial space travel. My long term goal is to become a CEO of a multinational technology company. Through my experience in eLab, I have been able to meet exceptional leaders in the industry which has helped me in improving my time and people management skills. The location of eLab in New York City, one of the most multicultural cities in the world, will help me understand and adapt to the different cultural aspects which in turn would help me develop into an international business leader. Macquarie University - Pace University Study Abroad Program, Fall 2016. Elizabeth is a Dezer Research Fellow - Business Development Representative, OMGwhen. Working in the eLab and working with start-ups has given me more inspiration and confidence to start up my own company post my MBA. It has helped me develop myself in terms of how to plan, market and execute my idea successfully. Also, it has allowed me to connect and network with entrepreneurs and aspiring entrepreneurs. Which entrepreneur do you admire most and why? My most admired entrepreneur today is Lorna Jane Clarkson. Lorna is an Australian entrepreneur who is a founder and lead designer of a multi-million dollar fitness inspired clothing label called Lorna Jane. She started very small in her hometown Brisbane, Australia and now has stores all over Australia, United States and Asia. What inspires me about her is that she started something she was passionate about and believed in herself and her product. She has the drive, focus and entrepreneurial energy, and she is also very humble. Her goal is to inspire people to have an active life in clothing that is comfortable and makes them feel good. The eLab is a collaborative environment. It is a great place to work as it inspires you to become an entrepreneur since you are exposed to like-minded people and aspiring entrepreneurs that you can connect with and share ideas. Finally by working with start-ups, it is assisting me in developing my ability to plan and execute an idea. 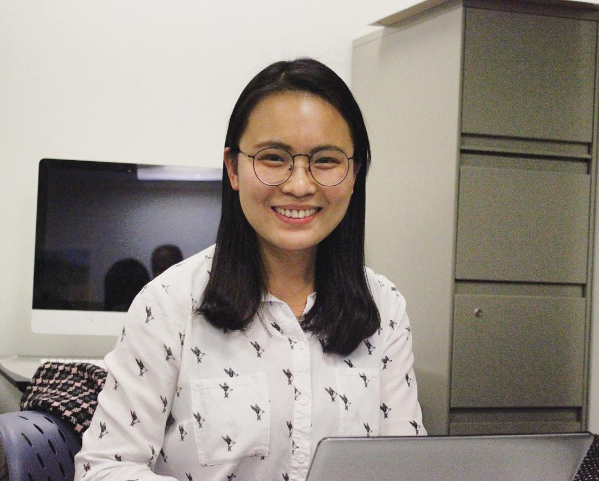 Jia Liu works as a Web Developer at the Entrepreneurship Lab and is pursuing MS in Computer Science, Pace University. I have been working as a Dezer Fellow for Voiceitt (an Israel start-up) on mobile application development, which is the first commercial project I have been involved in. eLab has provided me this great opportunity and I have achieved a lot of experiences and knowledge from it. 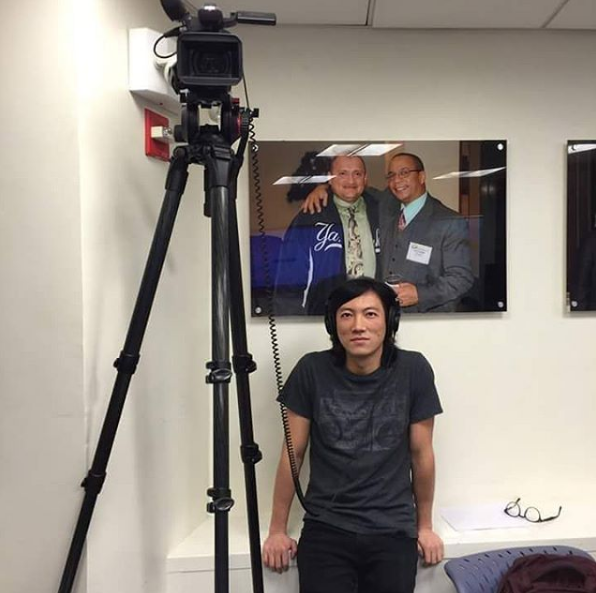 The entrepreneur I admire is Frank Wang. Frank Wang is the founder and CEO of Dji, as well as the world first drone billionaire. His interest in drones started from building a helicopter flight-control system during his senior year at the Hong Kong University of Science & Technology, where he studied electronic engineering. He then started Dji, which is now a leading company in the civilian-drone industry. What inspired me about him is that, when he started Dji, he was brave enough to put all his time and energy into an industry that had an unclear future. But, maybe the future of the drone industry was always clear to him. Now, his vision came true, drones are being using by major Hollywood film production companies, TV stations, individual film makers and ordinary people. Last semester I was working on mobile development for Voiceitt as a Dezer Technical Fellow. I developed an iOS/Android cross platform application for Voiceitt. 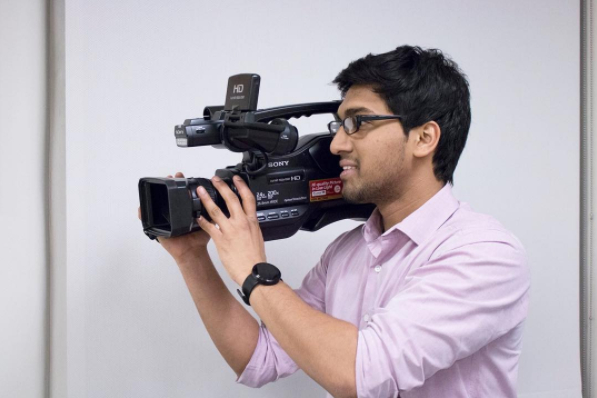 I also worked as a media production specialist, on shooting and editing videos about various eLab events. Ph.D Computer Science at Pace University. Sukun is working as UX/UI Graphic Designer for IPgallery. I am interested in User Experience (UX) Design. It is essential to understand how different groups of people use different technologies in different areas. User Experience researchers are required to take courses on how to facilitate communication between business management and technology teams. Working at eLab has helped me develop these skills. In addition, I learned from my supervisor and other staff in eLab to become a person who are not only good at IT development, but also think about business/ market value. I really love the place and the people. The entrepreneur I most admire is my uncle Tao Yun. He is a great entrepreneur who set up the first Environmental Property Right Transaction System in China, to promote the development of the carbon market operations through the modern means of information technology to achieve standardization and scientific decision-making. The IT infrastructure services chain of carbon business management helped enterprises, governments, exchanges, investors and other users in the vast majority of China. He also studied in the United States when he was young and returned to start his business after obtaining his doctorate. I hope to be like him and accomplish something after graduating from Pace. Currently, I am working as a UX/UI Graphic Designer for IPgallery. The IPgallery is software development and integration company focusing on building Resilient, Smarter and Safer Cities. They deliver holistic innovative IoT-based and Cloud-based end-to-end solutions to Cities, Governments and CSPs, and are committed to using digital and data technology to improve the quality of city life. I am helping them setup a content marketing website. I participated in the 2015 Mobile App Design Contest in the Entrepreneurship Lab, and I fell in love with the lab and have been working here since. MS in Financial Management, Pace University, Class of 2017. 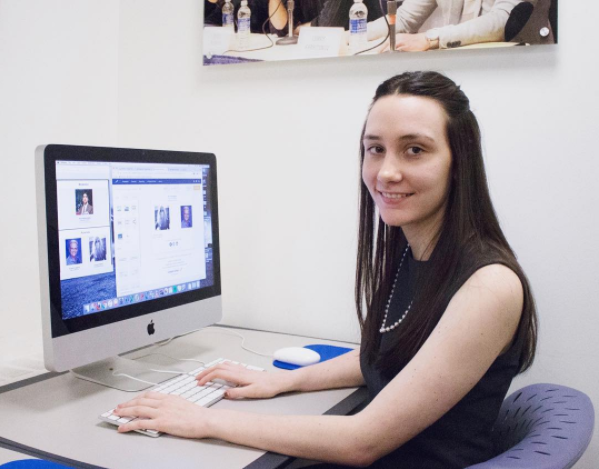 Rachel is working as Graduate Assistant at the Pace University eLab. Currently, I am working on the Pace Pitch Contest booklet. The document contains the finalists, judges, and speakers for the 13th annual pitch competition. I am responsible for gathering all of the executive summaries and biographies for the 8 finalists. So far it has been a really great experience because I am able to learn about each company and how they plan to bring their product to the market. The environment in the eLab is very collaborative. Everyone is very helpful and is always willing to go out of their way to help each other. The majority of the students who work at the eLab are from different parts of the world. This diversity allows me to learn about their culture which will help me in the future. To me, entrepreneurship means being able to see a need for a product/service and being able to bring it to market. This includes persevering through the difficult challenges and failures that will happen along the way. I expect to learn many different things while working at the eLab. I would like to enhance my skills in powerpoint, excel, and word. Also, I would like to learn how to enhance my marketing skills through using constant contact and poster campaigns. Finally, I would like to learn more about the eLab and the different scholarships and initiatives that it has for Pace University students. 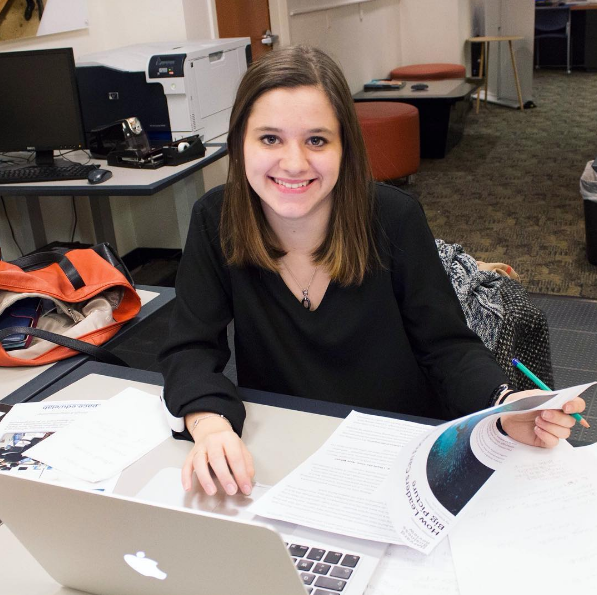 Camille is a Strategic Research and Implementation Intern at the Pace eLab​. I am in my second year of five years Master degree program in EM Normandie, a french business school. I am working with the Pace University eLab for a two-month Strategic Research and Implementation internship. 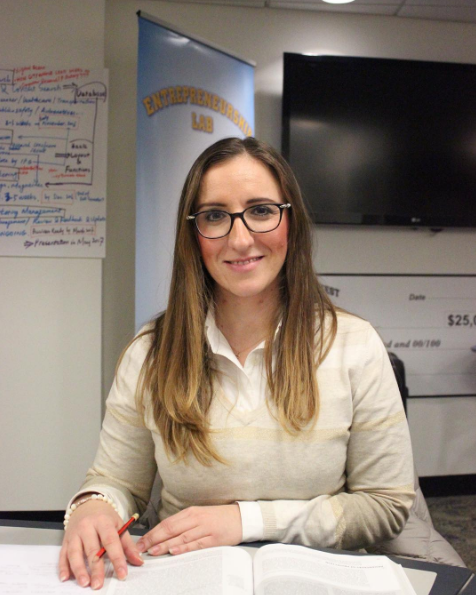 The main goal of my internship is to increase the enrollment in the Pace University’s Entrepreneurship Program. I work on many different subjects such as understanding entrepreneurship in general, researching about degree programs and learning technical skills like Social Media Marketing. Entrepreneurship Lab has changed the way I think. I see problems as opportunities. I know that I am capable of turning something bad into something good and even transform it into an opportunity. I have learnt to persevere to pass any challenge. I admire Augustin Paluel-Marmont and Michel de Rovira, they are my role model entrepreneurs.They started small cooking homemade cookies and selling them to the grocer and grew step by step by expanding their business to caterers, other grocers, supermarkets and coffee shops. Now their brand named Michel & Augustin, a French brand, export products around the world. It is an innovative brand, with high quality product and a fun way to manage their team. The eLab, is really pleasant. Having access to a lots of sophisticated softwares and equipments like the 3D printer is a huge advantage. The space in the eLab is well organized it easy to work with a team. For me entrepreneurship, means start with an idea and work to achieve it, make it viable and successful. It is a combination of opportunities, partners, skills of other people in order to implement an idea. But it is also work with passion, in something you like. 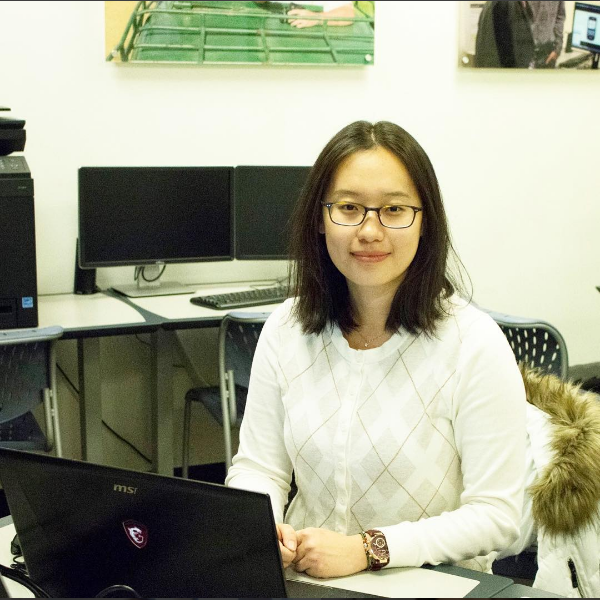 Fang is currently pursuing MBA in Financial Management and Information Systems at Pace University. As a Student Fellow in the Entrepreneurship Lab (eLab), I am currently working on a Digital Marketing Project for an Israeli startup, IP Gallery. Together with my project adviser and colleagues, we conduct market research, SEO Planning, website design and content marketing. This is an exciting experience that not only lets me contribute with my current skill-set, but also lets me learn new skills and insights. Entrepreneurship Lab has offered me a lot of opportunities to work with startup companies. Those experiences give me the knowledge and skills to develop my own entrepreneurial ideas. I also find the professional guidance and suggestions from entrepreneurship professors and industrial experts very helpful and necessary for my future venture. I enjoy the transparent and open communication in the eLab, with co-workers from various backgrounds and interests. Group discussions get me involved and allow the eLab team to share unique perspectives on how to achieve project goals. Working with exceptional students from different majors really opens my mind and inspires new ideas. Entrepreneurship is more than developing my own business ideas or creating a startup. It’s about passion for a cause and innovation for a better life. Most people get caught up in daily routine and are unable to recognize potential opportunities. However, entrepreneurs are keen observers and most importantly, adventurers who never give up until they make it.